The star of her school’s running team, Sadako is lively and athletic…until the dizzy spells start. Then she must face the hardest race of her life—the race against time. 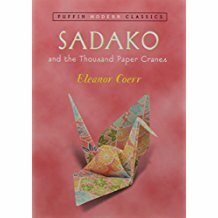 Based on a true story, Sadako and the Thousand Paper Cranes celebrates the courage that makes one young woman a heroine in Japan.